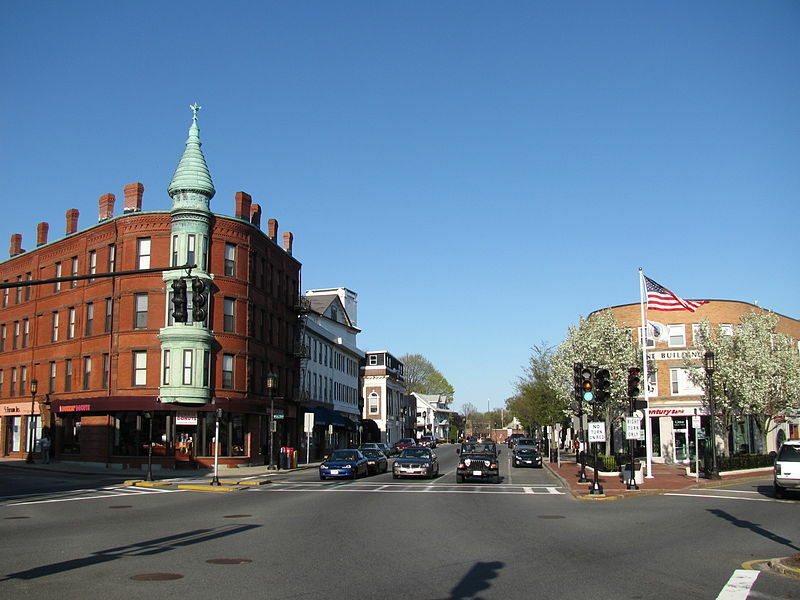 Medford is a city in Middlesex County, Massachusetts, in the United States, on the Mystic River, 3.2 miles northwest of downtown Boston. According to the United States Census Bureau, the city has a total area of 8.6 square miles, of which, 8.1 square miles of it is land and 0.5 square miles of it (5.79%) is water. The Middlesex Fells Reservation is partly within the city. This 2,060-acre preserve is shared by Medford with the nearby communities of Winchester, Stoneham, Melrose, and Malden. The Mystic River flows roughly west to southeast through the middle of the city. The MBTA Orange Line services Wellington Station and the MBTA Commuter Rail Lowell Line goes through the West Medford Commuter Rail Station.